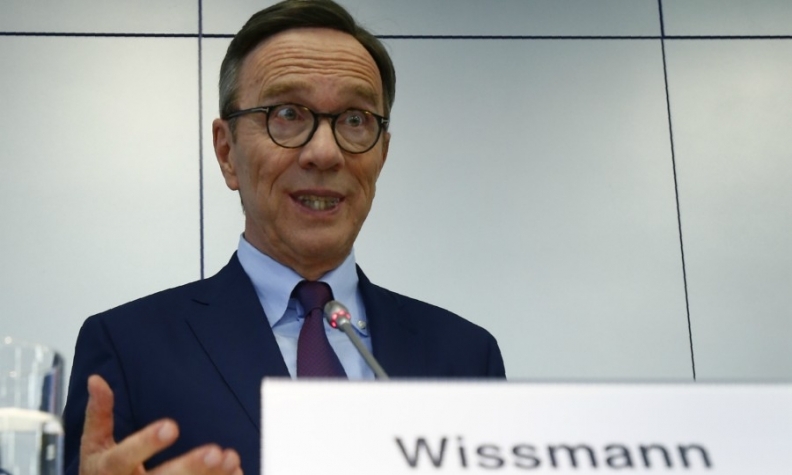 Wissmann says a ban on combustion engines would be a dead end. FRANKFURT -- Germany's biggest union and the VDA industry association urged politicians to help with a shift to electric vehicles and not force a phasing out of the combustion engine. Trade union IG Metall, whose members are mainly in the car and manufacturing industries, said at a meeting with the VDA and politicians that it was not just the auto industry that needed to act to encourage electric vehicles. "Politicians have a responsibility, too. Without the right infrastructure with charging stations, sustainable power production, storage and distribution, a rollout won't succeed," IG Metall chief Joerg Hofmann said in a statement. "Buyers have to be won over," he added after the talks on the sidelines of the Frankfurt auto show. Volkswagen Group's admission in 2015 that it cheated U.S. diesel-emissions tests has led to calls for the whole car industry, Germany's biggest exporter and employer of more than 800,000 people, to cut pollution levels. It has also piled pressure on Chancellor Angela Merkel, seeking a fourth term in a Sept. 24 election, to get tougher with the industry and do more to promote electric cars. German Foreign Minister Sigmar Gabriel, a Social Democrat in Merkel's conservative-led 'grand coalition,' stood by the industry, saying Germany must avoid phasing out combustion engine cars, as proposed by Britain and France. Carmakers also want to avoid a diesel ban in some cities, currently being considered by German courts. "Electromobility is a big chance but it would be neglectful to write off the combustion engine now," said Gabriel, adding production of batteries for electric cars was important and needed state support. "I am convinced we must not agree on an end to the combustion engine .... We must take steps to strengthen e-mobility but we must not lose sight of the potential of the combustion engine in the process," he said. VDA President Matthias Wissmann said a ban on combustion engines would be a dead end. "Regulations that are open in terms of technology and that let companies decide how to meet emissions goals would be wiser," he said, arguing this would preserve jobs. In the last few weeks, Merkel has told the car industry it must clean up its act. In August, companies agreed to overhaul engine software in diesel cars to reduce pollution and a 1-billion-euro fund has been set up to clean up urban transport. However, Merkel has repeatedly expressed her opposition to bans on diesel cars.